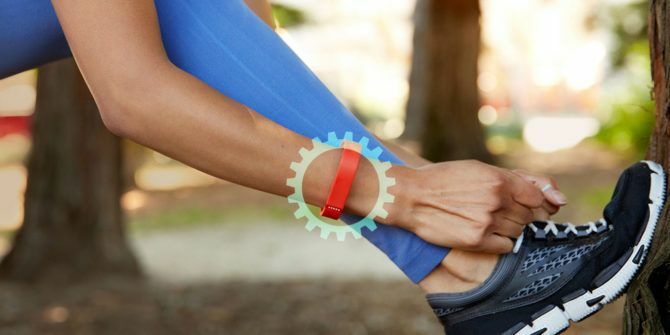 Fitbit is one of the best fitness trackers The 7 Best Fitness Trackers The 7 Best Fitness Trackers If you’re an active person, activity trackers provide incredibly valuable data for logging, improving, and understanding your fitness. But among the devices out there, finding the right activity tracker can be difficult. Read More . Maybe you are one of the devout users. The highlight of your day is when your tracker vibrates to indicate you just hit the daily step-goal. Maybe you also frequently check the Fitbit app to find out how you are faring against friends in the daily, workweek, or weekend challenges. But there are a few more things you can get out of it. We’ll show you how to extend your Fitbit’s battery life, make your step counts more accurate, and improve your overall health with personalized exercise plans. You’ll also learn how to use your Fitbit as a stopwatch, a more reliable alarm clock, and how to change its default clock face. We’re using the Fitbit Charge HR on an Android device, but most of these tips will work on other Fitbit trackers and phones as well. Let’s start off with a nifty tip for your device, before moving onto lesser-known tips for different sections of the app. Clicking the main button on the side of your Fitbit displays the time, followed by your daily statistics. These include steps taken, current heart rate, distance traveled (in miles), calories burnt, and floors climbed — in that order. See Tip 8 for options to change this order. There’s a stopwatch built-in, but it’s not instantly evident. Just press and hold the main button for a few seconds. The stopwatch will start. To stop it, simply repeat the action. You’ll see your time reading. Now move on to your Fitbit app. The Fitbit app (Android, iOS, and Windows) has four tabs. It opens in Dashboard, which gives you an overview of your daily step count, sleep cycle, and food and water log. If you don’t like this default layout, just tap and hold any tile — for instance, “Track exercise”. You’ll now be able to reshuffle all the tiles and personalize your Dashboard interface. Tapping any option in this section gives you a breakdown of its results as a list, but it also lets you customize your goals for that section. So, for example, tap Steps to see your daily step count, both present day and in the past. As every Fitbit user knows, 10,000 is the default step goal, but if you feel that’s too easy for you, then tap the Settings (cog-shaped) icon to change it. Similarly, you can also change your goals for daily floor count, distance, and hourly activity goals. Tap the Sleep tile on your Dashboard, then tap the Settings icon. You’ll see options to set a new sleep time goal (its set to eight hours by default). You’ll also see options to set a target sleep and wake up schedule. Turn on the Reminder slider to set a phone notification when you need to sleep. Select the days on which you want to see these reminders by tapping those options at the bottom. The app’s Challenges tab has a list of all the events you’re participating in. Adventures is a new section that was added a few months ago. It basically consists of six adventures (that range from 8,000 to 57,000 steps), including NYC 3.1 Miles and Vernal Falls. Select the one you want to start from the next day. The entire adventure is divided into smaller checkpoints. At each one, you’re either asked simple health-related questions, you’ll learn more about that particular route, or you’ll see actual photos from locations you’ve passed within the virtual adventure. It’s a good way to motivate yourself if you don’t have friends to compete with. Guidance is a new tab that prompts you to install the Fitstar Personal Trainer companion app (Android and iOS). After logging in to the app (which you can do using your Fitbit ID), you need to choose one of two virtual trainers. You’ll then see timed, personalized exercises, most of which you can do at home using an exercise mat. Tap each exercise to see a video describing the proper way you should do it. You can advance to tougher sessions as your agility and core strength improve. The main reason that Fitbit has become so popular is because of its ever-expanding user-base. Adding friends and competing in challenges is really what pushes you to go the extra mile. Tap the Friends tab, then tap the pink Add icon to see three tabs: Contacts, Facebook, and Email. The first tab lists your contacts, the second lets you connect your Facebook account to see which of your Facebook friends use a Fitbit. The last tab lets you add friends using their email address. It’s a good idea to go through your friend’s lists for common friends. Tap the Account tab, then tap the name of your Fitbit. In the General section, tap the Notifications option to enable call and SMS notifications on your phone. Your phone’s Bluetooth will need to be on for this to work. The three dots at the top lets you send a test notification to check if this feature works. Your Bluetooth can drain your device’s battery when it is switched on for an entire day, so it’s a good idea to use this feature for a few days before deciding whether it’s worth using 24/7. 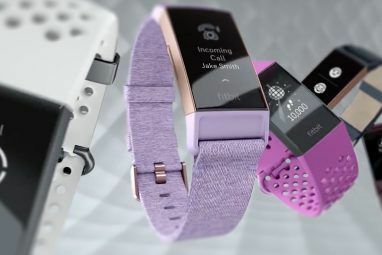 In the same General section, you’ll find Fitbit’s wrist vibration alarms, called Silent Alarms. These much are more effective than your phone’s alarm. This feature has saved me from falling asleep at many an airport and tube ride. Ensure your Wrist Placement is set to which hand you wear your Fitbit on. So, for example, if you’re right-handed but wear your Fitbit on your left hand, set it to “Non-Dominant”. Clock Display lets you change the default clock face on your tracker. You can change the default order of options displayed when you press the main button on your Fitbit. To do this, tap Customize Stats, then drag to reorder the options for Clock, Steps, Heart Rate, Floors, etc. according to how you want them to appear on your fitness tracker. Uncheck any of these options if you don’t want to see them. Your Fitbit’s Heart Rate Monitor can be a useful feature. In some cases, it can even save your life. However, if you don’t use this feature often, then it’s a good idea to scroll to Heart Rate and turn it off. Doing this can extend your Fitbit’s battery life by up to three days! You can also change what happens when you tap your Fitbit’s screen. By default, this is set to Show Clock. Select Tap Gesture and change this to something else (such as Show Steps or Show Distance) if that’s what you prefer. Fitbit sends you a Weekly Progress Report via email. However, you can check your updated weekly progress at any time. Tap the Account tab, tap 7-Day Summary, then tap “Take a look”. If you travel to a country where you don’t have mobile network, you’ll notice that your Fitbit doesn’t automatically change your time zone. This is because the device is set to automatically use the time zone provided by your phone network. If that happens, then scroll to the bottom of the Account tab and tap Advanced Settings. Here, turn off the “Automatic time zone” slider and turn on the “Automatic location” slider. Finally, click the “Select location” option and select the country you’re in. Depending on what you’re used to, you probably calculate your weight in Kilograms, Pounds, or Stone, and your Height in Feet or Centimeters. The Unit option in the Advanced Settings section lets you change the default readings for your app. If you feel like your Fitbit step count is a bit off, then you should check your personal settings and stride length. In the Advanced Settings section, you’ll see a section called Edit Your Profile, which logs your height, weight, and gender. You generally enter these values when you first set up your Fitbit. Fitbit estimates your step count based on your weight and height. Therefore, significant changes in those fields can result in step miscalculations, so ensure that that information is updated every few months. Go back and tap Stride Length at the bottom. Here, you can provide your actual walking and running stride lengths by measuring and typing those values. What Are Your Best Fitbit Tips? A Fitbit is not a magic bullet that will transform your life, but it can help you achieve your goals. Its added competitive element is good motivation to move often and it’s especially useful for running-based activities, like when training for a marathon Train for a Half Marathon with These Running Websites & Tools Train for a Half Marathon with These Running Websites & Tools Read More . We’ve featured other health and fitness gadgets 17 Best Health and Fitness Gadgets to Improve Your Body 17 Best Health and Fitness Gadgets to Improve Your Body Over the past few years, innovation around health and fitness gadgets has exploded. Here are just a few of the amazing pieces of kit you'll be able to use to keep you feeling great. 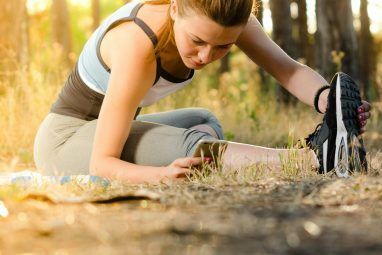 Read More to improve your body and even shown you old-school ways that you can track your fitness using Excel 10 Excel Templates To Track Your Health and Fitness 10 Excel Templates To Track Your Health and Fitness Read More . 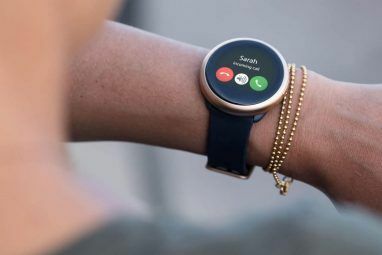 You can also connect your Fitbit to third-party services like IFTTT to prompt you to meet your daily step goal Take Your Exercise Routine to the Next Level With Fitbit and IFTTT Take Your Exercise Routine to the Next Level With Fitbit and IFTTT Here, we'll dig deeper into the many ways that Fitbit and IFTTT can work together to make your life better. Read More and even to get a phone call if you oversleep Connect Your Fitbit Tracker and IFTTT to Automate Your Home and Life Connect Your Fitbit Tracker and IFTTT to Automate Your Home and Life You may be surprised to learn that the Fitbit is one of the most convenient devices to use as your first step toward building what many people would consider a "smart home". Read More . Has your Fitbit helped make a difference to your life? What’s your most useful Fitbit tip? Let us know by posting your thoughts in the Comments section below. Will turning off the heart rate monitor affect other functions like auto-workout detection, sleep monitoring, or anything else? I'd gladly trade the heart monitoring for extra battery life if I didn't have to lose those things. No, this doesn't affect any other functions - including your auto-workout detection, sleep monitoring, step and floor count. It's definitely worth turning off for prolonged battery life. Alternatively, you can switch it on only when you want to monitor your heart rate readings (for example, when on a run).